This delicious classic of the cocktail world has a history that is as stimulating as the drink itself. The story goes that it was created in 1915 by Harry MacElhone at the New York Bar in Paris. It was flown over to the US by returning World War I pilots, becoming a popular drink at New York City’s Stork Club. Apparently, the name comes from a 75mm French field gun,s said to have the same kick as the drink – well, this name is apt. 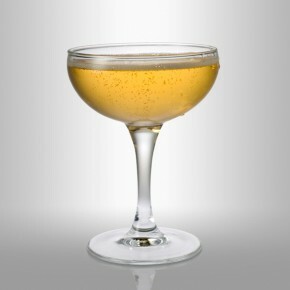 A sip of a French 75 is definitely akin to being shelled with a very powerful gun. Pour the lemon juice, gin, and Cointreau into a cocktail shaker with ice cubes.